I’m a dietitian and I love wild blueberries, salmon, almonds, quinoa and yes, I even like to use coconut oil on occasion. These foods are frequently touted as “superfoods.” But is it really necessary to call them that? I’m weary of the over-used term “superfood.” Selecting a few foods and assigning them “super powers” seems gimmicky to me, and not in the best interest of promoting overall good health. Nevertheless, it seems that the public never tires of hearing about the next great miracle food. Actually, there is no legal definition of the term, though one would think there was, given its ubiquity in the food and nutrition press. The Oxford Dictionary defines a superfood as “a nutrient-rich food considered to be especially beneficial for health and well-being.” Okay, that sounds reasonable enough, but it’s pretty darn vague. I’ve seen other sources indicate that the presence of a high phytonutrient content is what defines a superfood. Let’s face it, “superfood” is basically a meaningless moniker. Does it have any value? Are you eating more “superfoods” because they appeared on a list, or because you saw them on the afternoon health show on TV, or because your neighbor is selling pricey, exotic juice drinks that contain it? I’m not denying that the foods that typically appear on these lists are nutritious, but they are not made more so just because they are being hyped today. I can think of LOTS of foods that could be considered superfoods—and apparently so can lots of other folks. I’ve seen lists of superfoods that contain up to 100 different foods! When there are that many superfoods, doesn’t it just dilute the “super-ness” of them? When specific foods reach that level of fame, the prices for those items usually increase substantially. Not long after, many of these trendy foods start finding their way into less-than-healthful products, at which point one has to wonder if the trade-off is worth it. Does the presence of acai berries in that candy negate the extra calories, sugar and fat that it provides? And at what point does a food move from a superfood list to a list of just plain nutritious foods? I think I know: when the media moves on to something else, and when food marketers are no longer selling more products by including it. Instead of jumping onto every superfood fad, maybe the way to look at superfood lists is to see them as sources of extra information about these foods, and as reminders to eat a varied diet. Yes, I know that the phrase “eat a variety of foods” isn’t nearly as exciting or as fun as a list of superfoods (especially when the list is presented as a pretty slideshow). But the truth is, no one food—no matter how super it is—is going to make up for a lifetime (or even a week) of poor eating. 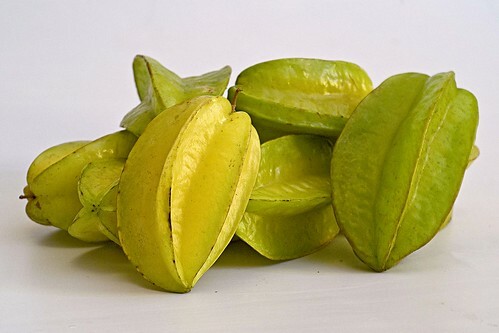 If, however, a list of superfoods encourages you to mix it up a little in the produce section (hello, carambola! ), to try some alternative grains or to give fish a fighting chance at your dinner plate, then in my mind that list of superfoods has done its job.